From WowNow Entertainment, producers of animated family hits Space Guardians, Fishtales and Funny Life of Pets! 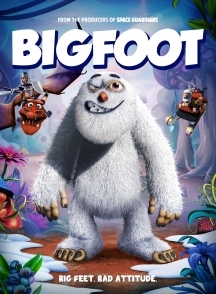 Holiday animated family film for children perfect movie for renting during the Christmas holiday season! Great drafting opportunity timed perfectly to release after “Smallfoot” the big budget animated movie coming to theaters this fall from Warner Bros!